Alvin Ho is back, and this time he's facing his biggest fear: The Great Outdoors. Alvin Ho is back and his worst fear has come true: he has to go camping. What will he do exposed in the wilderness with bears and darkness and . . . pit toilets? Luckily, he's got his night-vision goggles and water purifying tablets and super-duper heavy-duty flashlight to keep him safe. And he's got his dad, too. 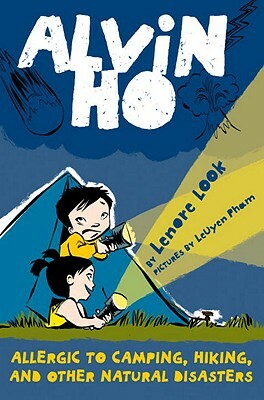 Lenore Look's touching, drop-dead-funny chapter book about an Asian-American second grader--with illustrations by New York Times bestselling illustrator LeUyen Pham--is perfect for beginning and reluctant readers alike, and has tons of boy appeal.